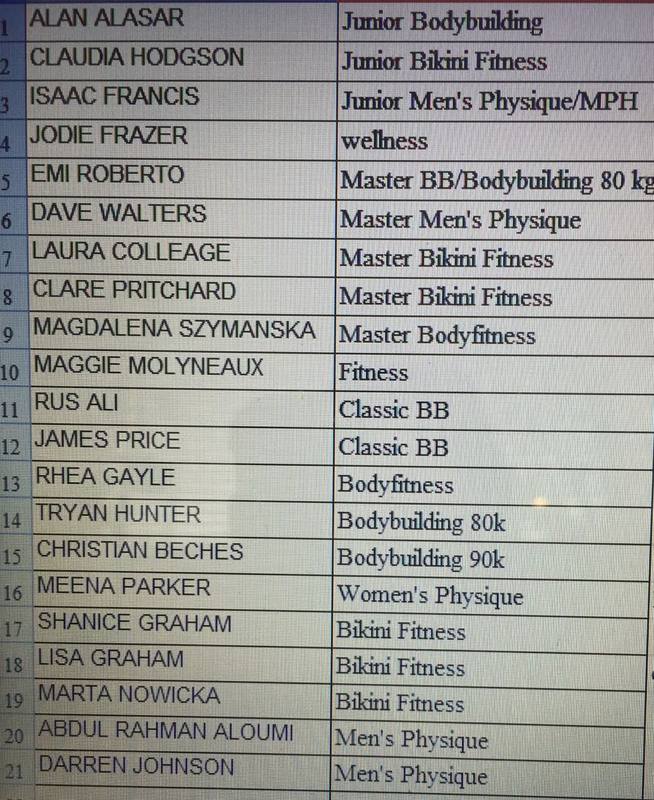 Twenty-one athletes are set to travel to Spain next month to represent the UK at the IFBB European Championships with the cost of their flights and hotel paid for. The competitors were selected by the UKBFF following their success at Sunday's UK Nationals in Leicester. The five-day European Championships, which attract about 1,000 competitors from some 40 countries, take place from May 2 to 7 at the seaside resort of Santa Susanna. It includes 45 senior classes, 27 junior classes and 25 masters classes. Last year the UKBFF spent about £200,000 sending athletes abroad. Many of the athletes selected for this year's European Championships – subject to doping results – will also compete at World Championships for seniors, juniors and masters later in the year – again with the cost of their flights and hotel covered. The 21 athletes who booked their places at the UK Nationals.